Established in the year 2007, we, “Agnivesh Health Care Centre, Aurangabad”, are an an ISO: 22000 accredited manufacturer, supplier, service provider and exporter of Health Care Products and Drinks. These products are processed from herbal extracts, which are completely safe and free from heavy metal toxicity. Our offered products are widely appreciated among the clients for their features like improves hemoglobin level, control hyperactivity and no side effects. Moreover, we are render our customers Ayurvedic Treatment as per their needs and specifications. For gaining popularity among varied customers, we regularly participate in trade shows like Indo African chamber of commerce- I for Africa, Kharedi Yatra and Festival Shoppe. Further, we provide all our products to the clients in qualitative packaging, so as to ensure safe transits. We are greatly supported by a diligent team of professionals for carrying all the activities of our business. The experts of our firm are dedicated and capable of completing the tough targets with perfection and on-time. All our experts carry out their assigned tasks at our sophisticated infrastructure facility. Our entire range is prepared at our sophisticated manufacturing unit making use of advanced machines and natural herbs. Further, all the developed products and procured raw material are safely kept by us in an arranged manner at our capacious warehousing unit. Owing to the ethical business policies, hardworking workforce and ultra-modern infrastructure facility, we have mustered a numerous loyal patrons for ourselves such as Saral Jeevan Bhavan, Smartway and Creative Pharma. Under the visionary guidance of our mentor, 'Mr. Amit Deshpande', we have been able to attain the prominent position in this highly competitive market. His vibrant leadership qualities, business acumen and charismatic managerial skills have enabled us to win the trust of a large number of patrons. Since inception, quality has been the prime priority of our organization. For maintaining this, we prepare all the offered products in compliance with the medical standards. We have adopted Hazard Analysis of Critical Control Points (HACCP) for stringent inspection of all the offered products. The quality professionals of our firm make utilization of advanced machines & tools for examining the offered product range. To ensure the quality of offered products, our professionals pack these in hygienic and qualitative packaging material to retain their taste & freshness. Owing to the qualitative products and services offered by us, we have been able to get ISO: 22000 certification from the government. 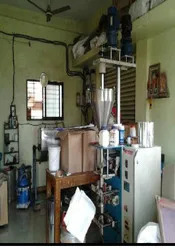 All these machines are regularly lubricated and upgraded by the experts so as to retain an excellent production rate. Moreover, after the completion of production process, all the prepared products are safely kept as per their respective categories in our capacious warehousing unit. ISO 22000 FSMS (Food Safety Management System) with HACCP (Hazard Analysis Critical Control Point) And GMP (Goods Manufacturing Practices). We have a professional team of dedicated and efficient workers who are experts in their respective fields. Our complete workforce has been divided into small units as per their expertise so that they can conduct proper and smooth work without having to face any hurdle in process and communication. Time proven over centuries in traditional use. HerbVeda's products are produced from herbal extracts which are completely safe and free from heavy metal toxicity. They do not contain any bhasms!!! Government Organizations- Zilla Parishad, Municipal Corporation, Human Development Office. Residential Public Schools- Trimurti Public School, Sahakar Vidya Mandir, Jawahar Navodaya Vidyalaya. Further, we have been able to spread our wings across the private markets of Maharashtra and some parts of Andhra Pradesh & Karnataka.